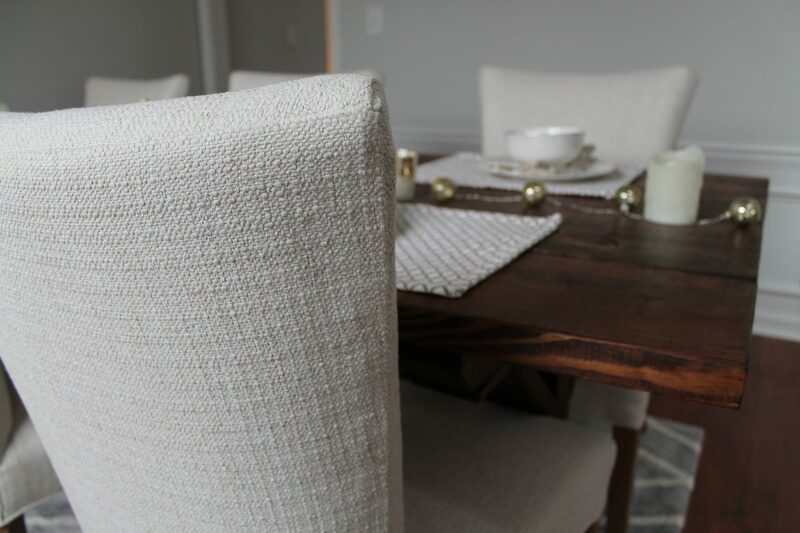 I thought it was about time for a dining room update even though I still haven’t shared pictures of the rest of my home yet (I promise I will eventually get around to this!). You can see my first dining room post here. 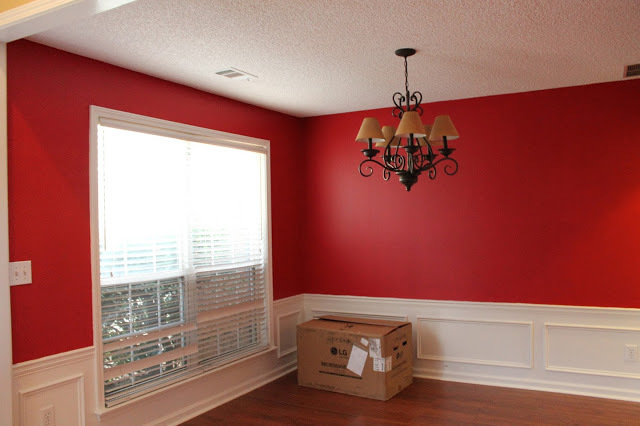 As you see in the picture below, our dining room was red with dirty popcorn ceilings and an ugly brown/tan shades on the light fixture. It was pretty much a disaster. We have done a lot to this room since we moved in and luckily, we have checked off a lot of our to do’s. While there are still things that we want to do to this room, I am pretty satisfied with it for now! The updated pictures do not show our new lampshades, but you can see just about everything else we have done to our dining room. 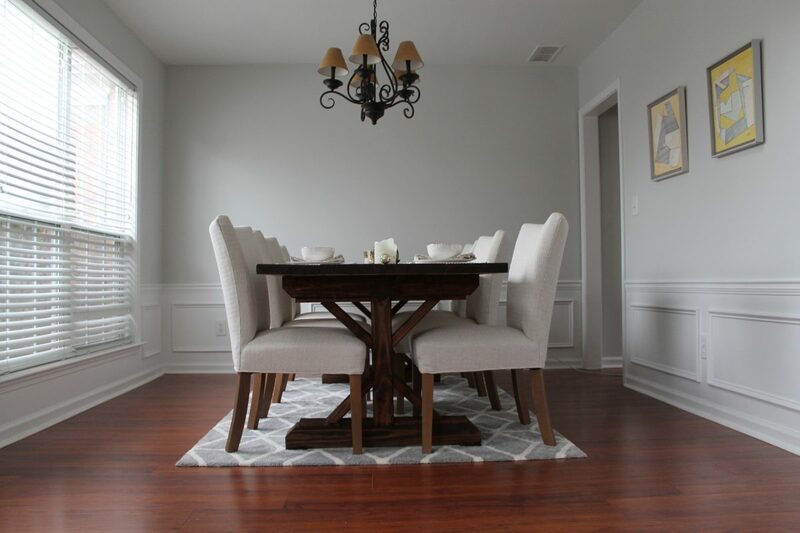 This dining room update was a huge change from what it originally looked like and I could not be more happy about it! 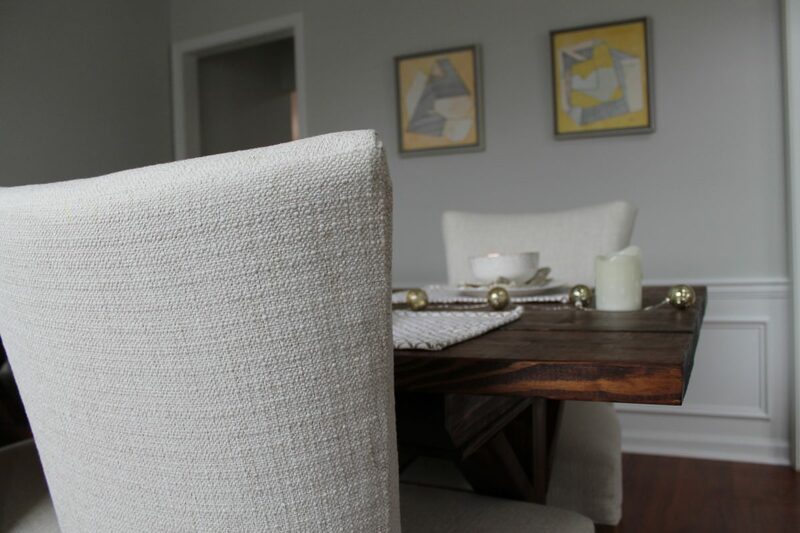 What do you think of our dining room transformation, so far? We have done so much to it! What else would you do to the room if it was yours?